Planning a trip to the golden coast? Don’t miss these highlights of Los Angeles! You can easily be in LA for a week without getting bored. There’s so much to do! And you’re in the right place if you just want to enjoy the sun, the sea and the beach. Venice Beach is my favorite place to be in Los Angeles. The easy going vibe of this place is indescribable. Walk along the boulevard with many little shops and cozy restaurants. Or just lay down on the beach and get a nice suntan. 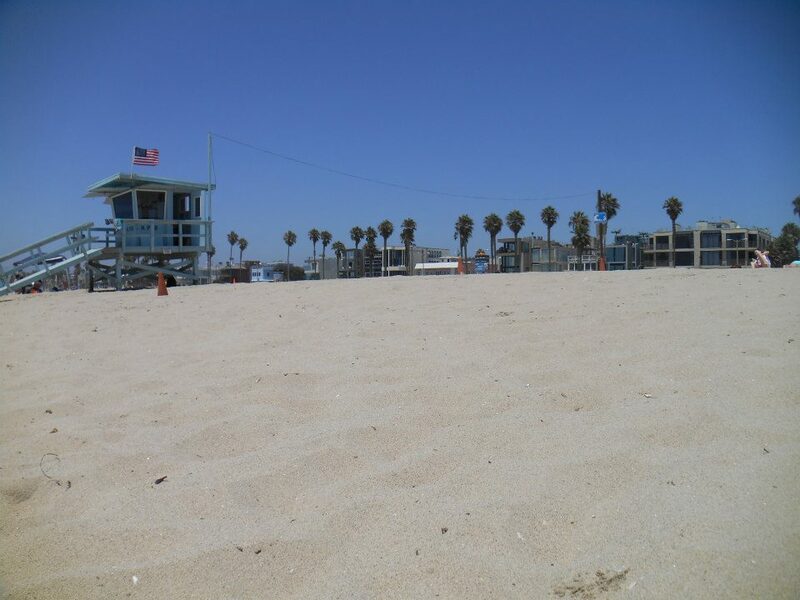 On Venice Beach there’re many different possibilities to be active. Have a look behind the scenes on the film set. See how special effects are made and how a flash flood is recorded. 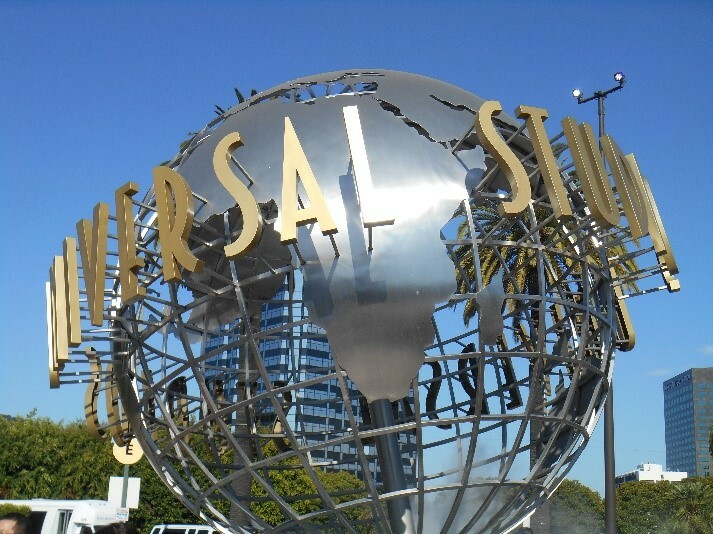 You can see several items of various Universal movies. If you’re in for some action then go for the rides. 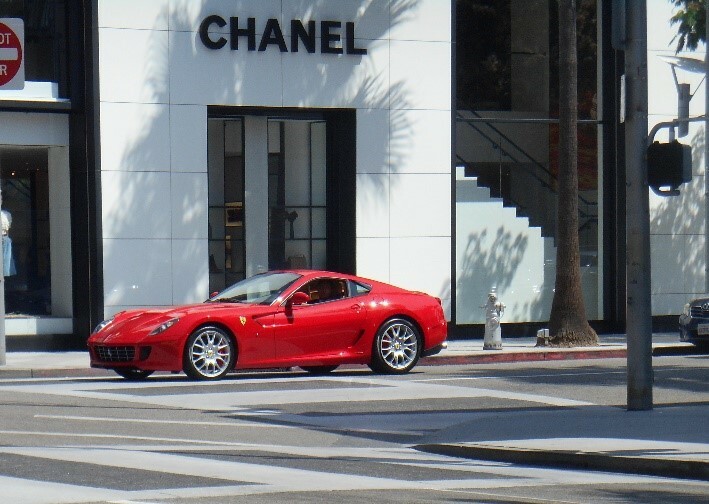 Drive your rental car through Beverly Hills. It’s really like you see in many movies! Admire the wide streets, big houses and expensive cars. Go park your car somewhere and stroll on Rodeo Drive. You will find all luxury brands and stores in this famous street. 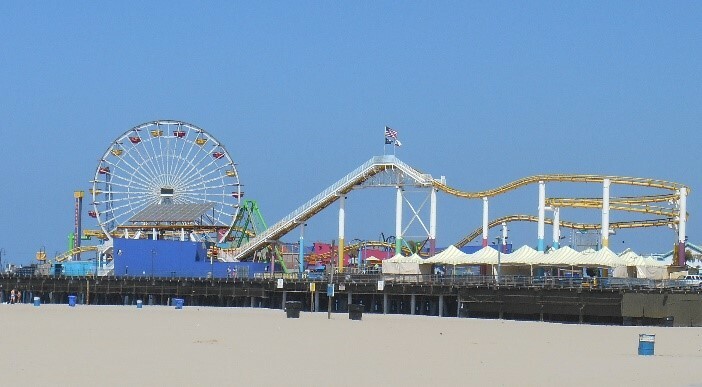 The pier of Santa Monica is very pleasant to visit. The Pacific Park is located on this pier. Take a ride in the Ferris wheel for a nice view over the beaches, visit the aquarium or entertain yourself in the arcade hall. There’re also a number of nice restaurants on the pier where you can enjoy a pleasant meal. When you’re in LA you have to go to Hollywood. A visit to Hollywood doesn’t have to take much time. We went in the early morning and had seen it in approximately an hour. Walk over the famous Walk of Fame and take a photo with the star of your favorite Hollywood actor, singer or any other famous person. The Hollywood sign can be seen from far. 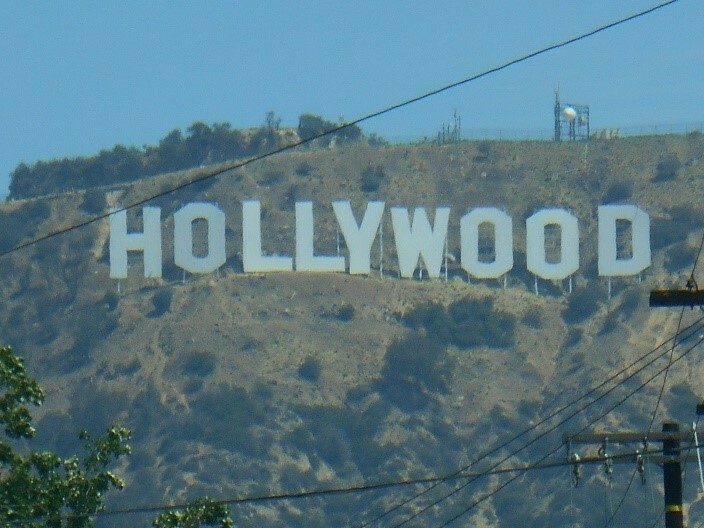 If you like it, you can go to the Hollywood hill to get an closer look to the sign. Hotel tip: A nice place to stay in LA is the small hotel called ‘Inn at Venice Beach’. It’s a cozy, modern decorated hotel within walking distance of Venice beach and the boulevard.